American re-insurance companies cooperate with international re-insurance companies, which are gradually conducting business with Iranian insurance companies controlled by the Iranian government evidently linked to illicit regime elements. Various major European re-insurers, cooperate with Iranian re-insurers or considering doing so, while conducting business relations with U.S. insurance companies. Some of the European re-insurance also operate through their representative offices or registered subsidiary in the U.S. 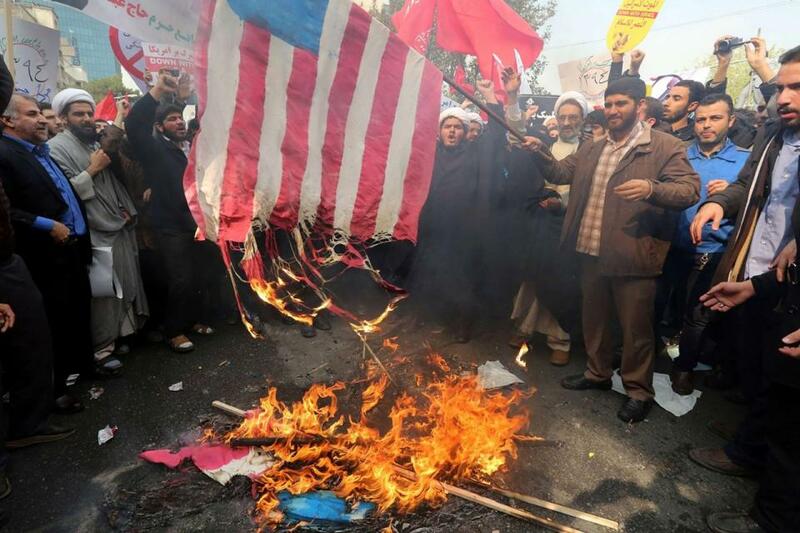 The end result is- American money invested and poured out in Iran, although publicly, U.S. nationals/ companies are forbidden to do business (of any kind) with Iran. How is this possible? Eventually, this way or another Iranian regime, benefits. How can the U.S. dollar fund IRGC’s activities, after so many years of states’ commitment against terrorist activities world wide. 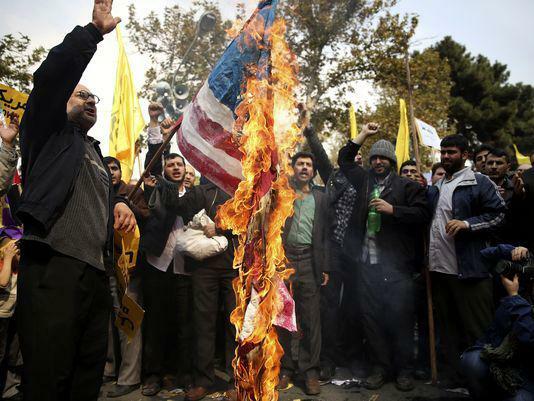 American businesses as well as U.S Dollars participate in the funding of Iranian illicit entities! 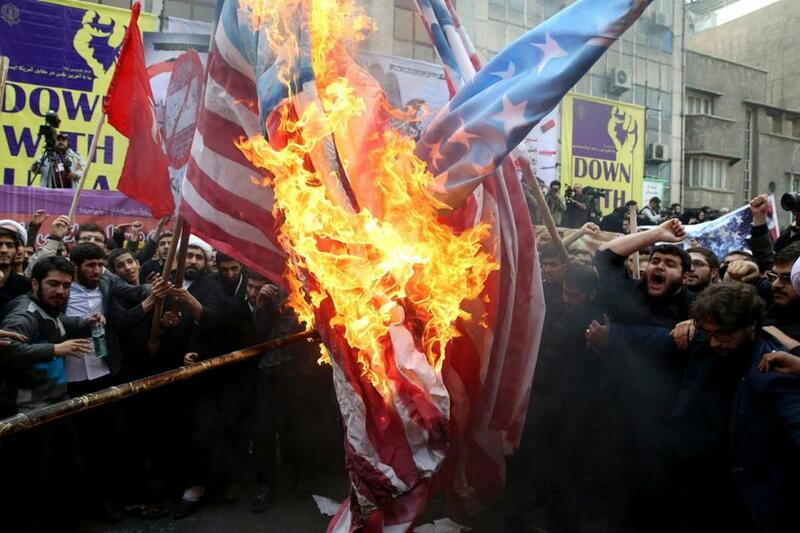 Also, how can we forget the everyday Iranian propaganda against the USA? Munich Re – a leading German re-insurer currently in the process to commence business with Iranian insurance companies. Munich RE operates many subsidiaries in the U.S, which are indirectly engaged with Iranian re-insurance companies controlled by the Iranian regime. Munich Re America Corporation HQ based in Princeton, New Jersey. Munich Reinsurance America (also called Munich Re America), formerly known as American Re Corporation before September 2006, is a major provider of property and casualty reinsurance in the United States. Munich Reinsurance America is a subsidiary of Munich Re. Founded in 1917, the company’s headquarters is located in Princeton, New Jersey, with regional offices in San Francisco, Chicago and New York. Munich Reinsurance America, Inc. has earned an A+ financial strength rating from A.M. Best Company. The company offers solutions and services that provide clients protection from global issues such as climate change. Munich RE Stop Loss, Inc. Doral, Florida U.S.
SCOR SE – a leading French re-insurer cooperating with Iranian insurance companies. The SCOR group was the first French listed company to have chosen the status of Societas Europaea, and thus the first to use the “SE” acronym on the financial markets. The Group’s three companies (SCOR, SCOR Global P&C and SCOR Global Life) have also adopted this status. SCOR Reinsurance company (U.S Subsidiary) New York, New York , U.S.
Lloyds of London – an insurance market located in London’s primary financial district, the City of London. Unlike most of its competitors in the industry, it is not an insurance company. It is a corporate body governed by the Lloyd’s Act of 1871 and subsequent Acts of Parliament. It is a partially mutualized marketplace within which multiple financial backers, grouped in syndicates, come together to pool and spread risk. These underwriters, or “members”, are a collection of both corporations and private individuals, the latter being traditionally known as “Names”. Lloyd’s leads the way in the excess and surplus lines and reinsurance segments in the US: 57% surplus lines; 35% reinsurance; 7% exempt; 1% licenses. A policy that protects against a financial risk that is too high for a regular insurance company to take on. Surplus lines insurance, unlike regular insurance, can be purchased from an insurer that is not licensed in the insured’s state, though the surplus lines insurer will still be licensed in the state where it is based, and an insurance agent must have a surplus lines license to sell a surplus lines policy. Also called excess lines insurance, surplus lines insurance makes it possible to get insurance for entities with unique risks that most insurers don’t cover or with a claims history that makes other insurers unwilling to cover them. Surplus lines insurance contains an additional risk for the policyholder in that there is no guaranty fund to obtain a claim payment from if the surplus line insurer goes bankrupt. A policyholder’s claim on a regular insurance policy can be paid out of a state guarantee fund that all the state’s regular insurance issuers contribute to in case one insurer goes bankrupt. Regular insurance carriers, also called standard or admitted carriers, must follow state regulations about how much they can charge and what risks they can and cannot cover. Surplus lines carriers don’t have to follow these regulations, which allows them to take on higher risks. An example of a major surplus lines insurer is Lloyd’s of London. It is licensed outside the United States, but is able to issue surplus lines policies in the United States. One type of surplus lines insurance that consumers might purchase is flood insurance. Lloyd’s of London offers this insurance through the National Catastrophe Insurance Program, which offers an alternative to the Federal Emergency Management Agency’s flood insurance. Consumers who find FEMA’s insurance too expensive might be able to get a more affordable policy through surplus lines insurance. That being said, surplus lines insurance is often more expensive than regular insurance because it protects against unusual or higher-than-usual risks that other insurers won’t cover. A surplus lines insurer may be referred to as a non-admitted or unlicensed carrier, but this doesn’t mean that the policies it issues aren’t valid. It just means they are subject to different regulations. Iranian Re is part of Pasargad Bank’s financial group.The Bank is the Company’s largest shareholder, controlling roughly 24% of its shares. (the companies highlighted in yellow, in the text below). Among Iran Re-Insurance shareholders, is the IRGC affiliated Saman Majd. This last means that the other insurance companies (highlighted in green, in the text below) which hold Iran Re Shares, are implicated by the company’s links to Pasargad and the IRGC. Among Bank Pasargad’s shareholders at least two companies linked to the IRGC can be found. The first is Saman Majd Investment Company which owns 4.94% of the bank’s shares.Saman Majd is owned by one of Bonyad Sepah’s subsidiaries. The second Company, Kharzemi Investment which owns 3.64% of the bank’s shares. Kharzemi is owned by Ghadir Investment Fund, the investment arm of the Iranian Armed Forces Pension Fund (which includes the IRGC). Bank Pasargad also owns shares of Ghadir investment. In addition, Pasargad owns shared of designated entities such as Bank Saderat, and IRGC affiliated entities such as Bank Ansar (also designated) and Esfahan Mobarekeh Steel Company. Dana Insurance is the third largest insurance firms in the Iranian market, holding a 7.7% share of the market. It has 1,919 agents, 21 agent companies, and 59 branches across the country. The Company’s single largest Shareholder is Saba Tamin Investment Company, the Iranian Social Security Organization’s investments company. Saba Tamin controls 25% of Dana Insurance’s shares. The information presented above raise questions regarding the contribution of American re-insurance companies, meaning American U.S. dollars and American businesses, to the highly contaminated Iranian insurance sector! The use of U.S. dollars for financing Iranian Illicit entities, including the notorious IRGC, it’s obvious! We wish Americans to take action against these events! We hope that they will revolt, the use of their money for financing regime country- that wants to destroy them! Iranian leader constantly threatens Americans, that Iran will attack U.S.A. and emphasize that Americans aren’t safe anywhere. 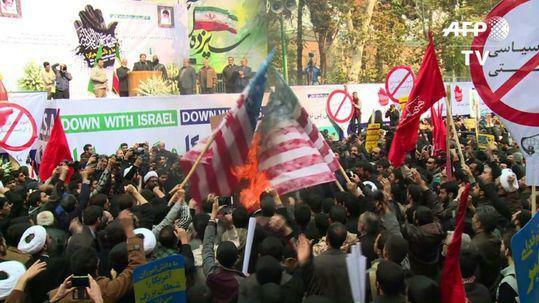 Americans know that Iran spits on them, but they didn’t know that Iranian regime, is financed directly from U.S. soil. Now American taxpayers know where their money ends! They have the information that was hidden from them, and now it is up to them to take action!